In all foods of animal origin in the composition is saturated fat related to refractory. Such foods are hard to digest. 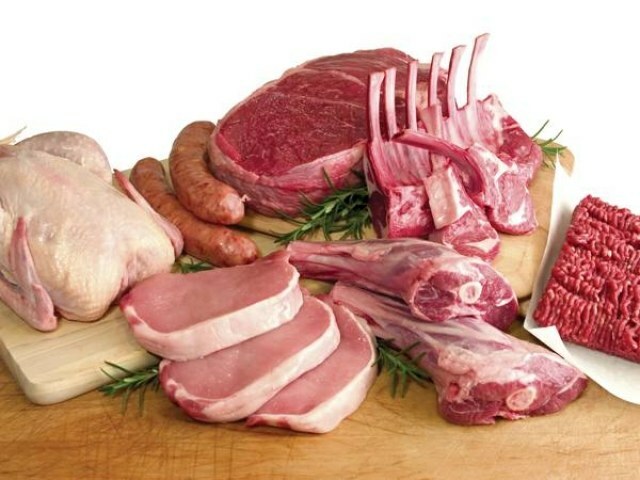 The most "heavy" grades of meat are lamb and duck. However, and diet of the rabbit, if you fry with additional amounts of animal fat, can easily be deprived of useful properties. Fats as well as proteins and carbohydrates play an important role in the life of the whole organism, and any unreasonable restriction may cause irreparable injury. If for weight loss to eliminate fats, but to enter into the diet, the excess amount of protein and carbohydrates, this will still result in fat deposits. Everything is good in moderation. It is important not to overuse products containing refractory fat, because they harm the figure and health. But complete elimination is impossible. To keep balance, you need to know what products these harmful fats are found. All fats are divided into three groups: saturated, unsaturated and polyunsaturated. Refractory are called saturated fats. They relate to animal origin. Does not mean that saturated fats are found only in meat. A lot of saturated fat in the yolk of eggs, they are also dominated in dairy products and their derivatives. Rich refractory fat cheese, cottage cheese, butter, cream. However, this involves natural products rather than their counterparts, which are mostly vegetable fats: spreads, cheese and cheese products. Negligent manufacturers of herbal ingredients sometimes added to yogurt and sour cream. Advocating for a healthy lifestyle, vegetarianism propose to completely abandon the above-mentioned products and of course meat. However, foods of animal origin contain a number of essential amino acids, which are impossible to obtain with any other food. Yes, the use of high-melting fats are fraught with diseases of the liver, metabolic disorders, development of atherosclerosis, but only when these products are misused. Especially bad to eat fatty foods at dinner. Night fats absorbed by the tissues from the blood much slower, and if atherosclerosis has begun, the fats can compromise the integrity of erythrocyte membranes and platelets. In greater degree it concerns the elderly, but others should think about that. What kind of meat the "heavy"
To enjoy a delicious meat dish and it does not harm your health, you need to know what kind of meat is preferable to use. Nutritionists say that red meats are the hardest absorbed by the body (beef, pork, lamb). They constitute the class of "heavy" meat. However, among these varieties, you can hold graduation: 1st place — lamb, 2 — beef 3 — pork. About pork opinions differ somewhat, as the amount of fat, it is ahead of beef, but it is less connective tissues that make meat more tender. In addition, the composition of fats, among which are present in pork and polyunsaturated, this meat is much more valuable than beef. To the ideal of red meats include venison and horsemeat, because the composition of their fat is incredibly close to the fats of vegetable origin. But if the horse just rarely used by the Russians, the venison can be attributed to the delicacies. Poultry meat is the most harmful is the duck. Meat of wild duck, although not very fat, but belongs to the dark varieties with indigestible fibers. So it can rightfully be classified as "heavy". Not much different goose. To dietary varieties are chicken and Turkey, but to eat better than chicken legs and Breasts. They are well absorbed by the body, Turkey and never cause allergies. Only wings and Turkey breast are the white meats and the rest to red. Of white meats to the most easily digestible and hypoallergenic is the rabbit. It has more protein and less saturated fat. But few know what meats are in the less "heavy", it is important to cook them properly. It is best not to fry and bake in the oven or boil. Then the disadvantages of high-melting fats to turn into advantages.